ARM has spoken about the forthcoming wave of new 'smartbook' devices, and believes they will get a big push in 2010. Speaking to Bob Morris, director of mobile computing for ARM, he told TechRadar that he was excited about the forthcoming devices and predicted big things for Google's Chrome OS. "[In smartbooks] we're going to be seeing devices that are constantly updating, so you'll be able to open them up and get your Twitter or Facebook updates instantly. "There are multiple top tier OEMs, most of the big manufacturers in fact, that are moving into this space and are actively innovating." ARM was showing off a number of smartbook-style devices at Mobile World Congress this year, such as the Entourage Edge dual e-book and Android device and a slimline unit from Lenovo too. "In 2010, we're likely to see more converged devices - such as e-readers and tablets," added Morris. 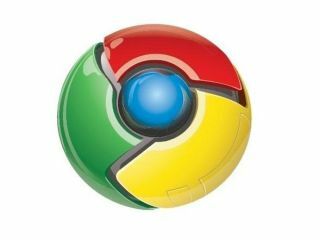 "Chrome OS is also supposed to be due by the end of the year, so we'll be seeing that come to the market too." "Chrome OS is interesting - I've already started getting used to Google Docs in preparation. "There's a lot of buzz about it online, and I'm hearing some very good things about it - a crisp platform that loads very quickly and is very nimble too. "It remains to be seen how it will appear in practice, but it's very interesting." *Smartbook is a registered trademark of Smartbook AG in Germany, but in this interview ARM uses smartbook as a generic term for a device which falls between smartphone and netbook.